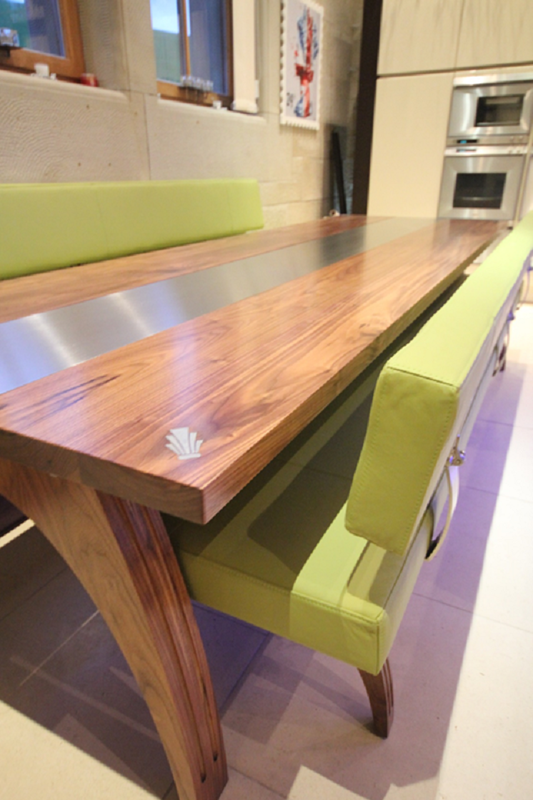 A large bespoke dining table in walnut and brushed stainless steel. 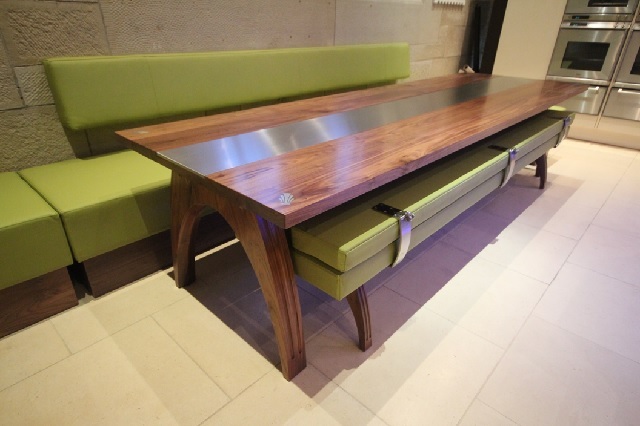 This bespoke dining table and seating is as fantastic as it looks. 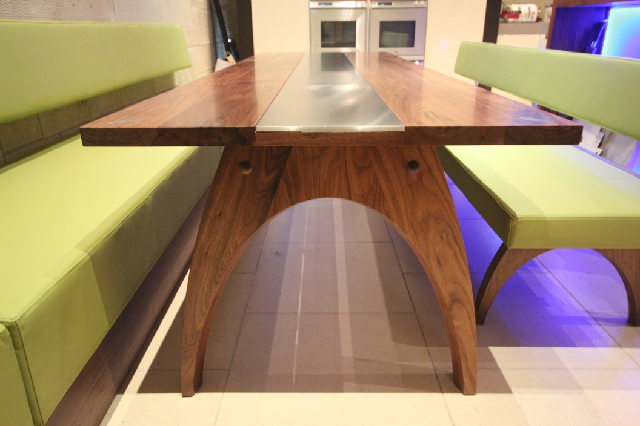 The table is 3.0m long with a 50mm thick solid walnut top. This large dining table seats 10 people very comfortably. The details are a combination of traditional and contemporary influences. The elegant curved legs have angled inner edges and routed details in the outer surfaces. A band of stainless steel runs along the middle of the table and gives the table real identity whilst also being very practical for the placing of hot dishes. 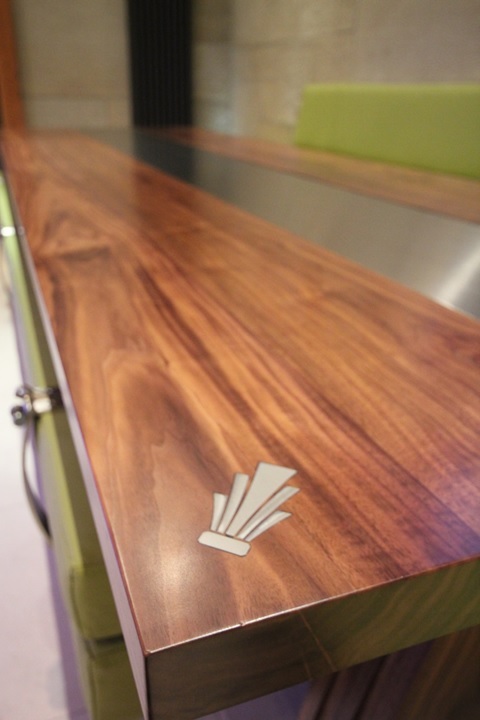 Inlaid in the corners of the bespoke dining table are steel logos of the house. 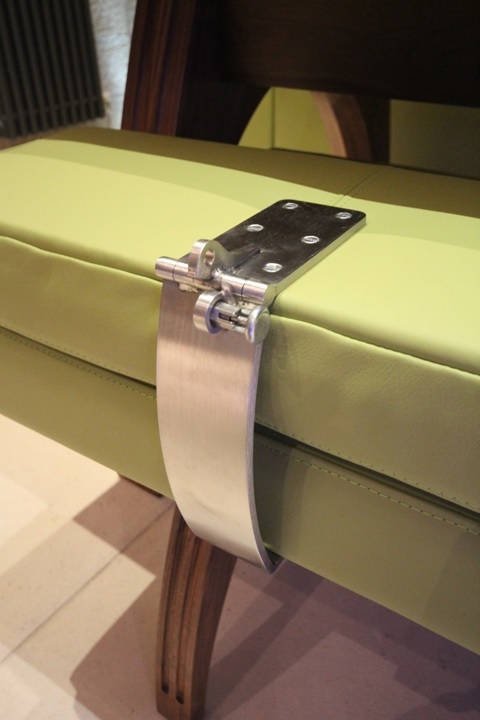 The seating is upholstered in the highest quality Scottish leather with a soft lime colour. 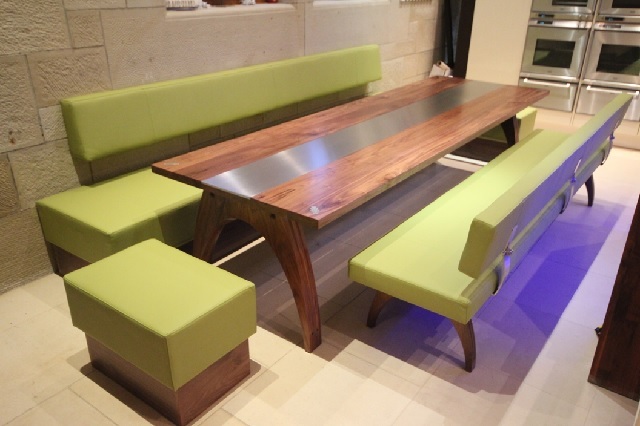 Along the wall we have created some highly functional and social banquette seating with extension stools which can be moved out to go at the ends of the table. 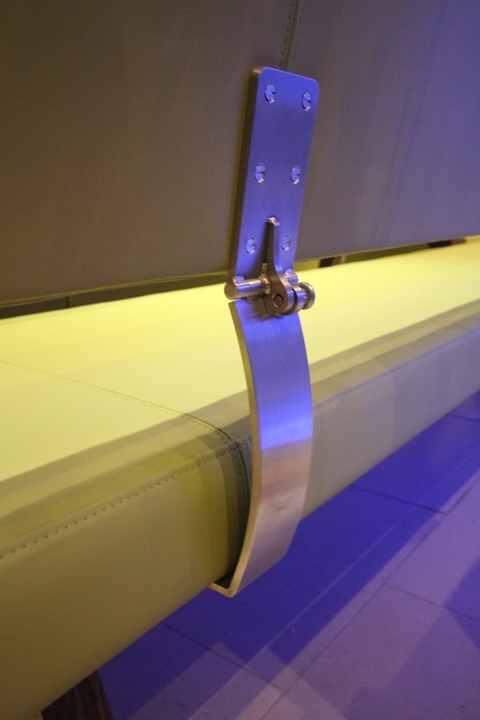 The bench has bespoke brackets which allow the back to pivot down for storage.